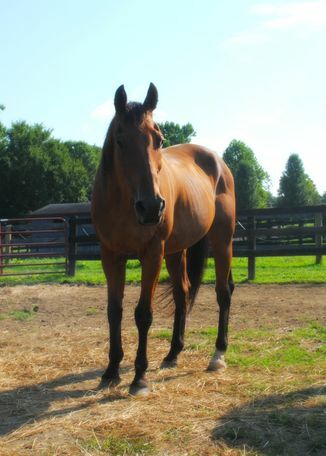 ER Jake from State Farm (“Jake”) is a bay 1996 OTTB gelding standing around 16.2 hands. He came to PKF in 2018 with his best friend Willie. Jake is very kind, easy to handle and loves to be groomed – a true gentleman. He could easily be restarted under saddle and would be suitable for light-riding. Willie and Jake are a bonded pair and we would prefer to adopt them out together.